MSC offers several different options to suit the needs of players looking to make a commitment to improving their tennis game. Purchasing a Season Court means the customer "owns" their time slot for the same day and time for the entire season. When you "own" a season court, you can guarantee weekly playing time - rain or snow, you will have your court each week! Already formed group of players with no pro on the court. You can have as many or as little players as you would like to be part of your group. Group of 3 or 4 players with a pro on the court. You can either come to MSC with an already established group or we can help form your group. 2 on 1 lesson involving 2 players and 1 pro. You can either come to MSC together or we can help form your semi-private. Booking a season court will ensure you secure your preferred day/time (and pro) for 36 weeks which will ensure you won't get locked out of court availability during the colder, winter months. In addition to the above benefits, joining a Season Group Lesson is a cheaper option compared to joining clinics. As we continue to grow, clinic options will become limited. Season Courts get the first option for days/times over the clinics. Deposits: In order to lock in your court and the maximum discount, a deposit of $360 per court hour ($135 for individuals in a 4 Player Season Group Lesson) must be submitted with your season court contract. Senior Discount: Extra 10% off all Season Courts on weekdays before 3pm. A minimum of 50% of the players on the court must be seniors in order to be eligible for a senior discount. 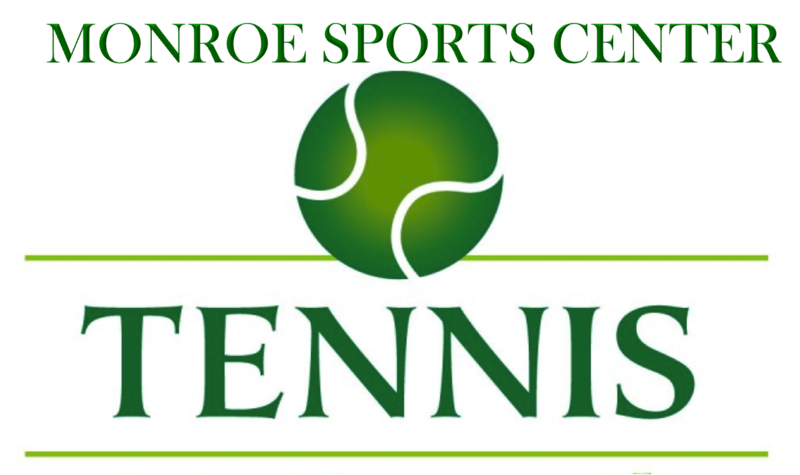 Open Court Discounts: Members of Season Courts may purchase additional open court time during the 2019-2020 tennis season at the following discounted prices: Weekdays 6am-4pm & Weekdays 9-11pm: $20/hr, Weekdays 4-9pm: $40/hr, Weekends 6am-8am & 5pm-11pm: $20/hr, Weekends 8am-5pm: $40hr. Open courts may be reserved up to 7 days in advance and all regular open court time rules apply. Members may use a pro on these additional courts at these prices. This pro-rated weekly price may also be used on holidays at any time all day when MSC is open but season courts are off. Season Court Forfeiture Policy: Management has the right to cancel this contract and retain all collected monies as liquidated damages if any payment is delinquent. All payments shall be made on or before the above due dates in order to receive any discount. If MSC does not receive a payment (aside from your deposit) towards your court balance by October 1, 2019, MSC has the right to cancel your contract and sell your court. If you have not paid your court balance and all membership fees in full by November 1, 2019, MSC has the right to cancel your contract and sell your court. NO refunds for any reason, including but not limited too, late arrival, illness, injury or early departure or withdrawl from court. Credits or make-ups due to weather conditions or other uncontrollable events will be determined at the sole discretion of MSC. The club reserves the right to assign make-ups if tournaments or other activities require additional court use. A reasonable effort will be made to avoid this occurrence. In addition, in the event that circumstances beyond our control cause court time to be unavailable, your court time will be rescheduled at the discretion of MSC. No monies will be refunded. Season Court Time Make-ups: MSC will attempt to sell your court if notified in advance that you are unable to use it on occasion. If sold, you will be entitled to a court makeup. No credit or refund will be issued. Makeups must be used before Sept. 1, 2020. Season Group Lesson Make-ups: There are no make-ups for participants of a SGL. If the entire group can not make a specific date, MSC will attempt to sell your court if notified in advance. If sold, your group will be entitled to a court makeup. No credit or refund will be issued. Makeups must be used before September 1, 2020. Pros: Pro rates are determined by a number of factors including but not limited to years teaching, certifications, and experience. When a customer books a Season Court with a pro on the court there are two components to the cost: the court fee and the pro fee. The court fee is paid to MSC and the pro fee is paid directly to the pro. Pro fees ranges from $30-$80 per hour, depending on the pro. Pro fees cannot be paid by credit card. Pros are not guaranteed. MSC will attempt to provide you with your pro preference, however if we are unable to fulfill this request or if your pro can no longer teach your lesson at any point of the season we will assign you a new pro. If your pro changes at any point during the season, you are not eligible for any refunds or credits. Arrival/Departure: All players should check in at the Front Desk for court assignments. Players are asked to wait until their start time to enter the court and immediately leave the court when their court time expires. Court Assignments: Court assignments are at the discretion of MSC. MSC has the right to assign courts and to provide instruction on adjacent courts. Rotations: We provide the service of making a personalized schedule for all Season Courts who ask us for it. Your group tells us how many players are in the group and if any players require byes on any specific dates. Key Dates: For more information on our Tennis Season Court Key Dates, click here.